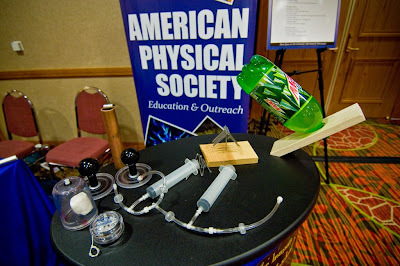 Last weekend over 1250.0 physicists from around the world converged onto the mile high city of Denver Colorado. 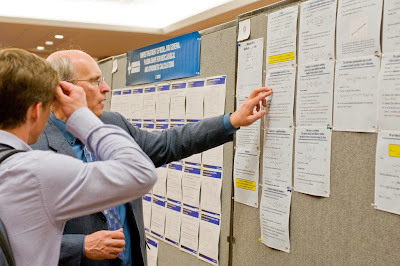 Some of the greatest minds in the field converged not for the city's legendary buffalo burgers, but the annual April Meeting of the American Physical Society. Ironically it was held this year in May. Maybe some physicists are just more concerned with answering the big questions about black holes and the universe than the difference between months of the year. Anywho, this year's meeting featured many talks on topics ranging from quantum gravity to arms control to philosophy. Here's just the first part of some of the highlights from the Mile High City. 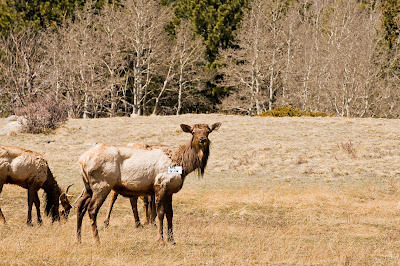 The physicists were easy to spot roaming around Denver because of their name tags. Many students presented their work at the meeting during the poster sessions. Here we see a physicist asking a student why there is not a yellow box around a particular equation. 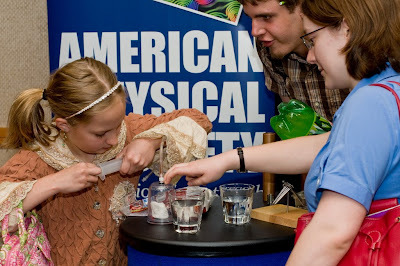 While many physicists at the meeting were presenting their theories on the expanding universe, this young physicist amazed everyone with her demonstration of the expanding marshmallow! 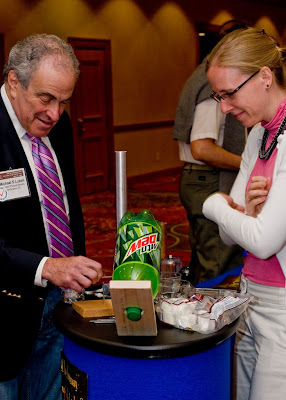 One physicist is explaining to another why it is not the fizzy bubbles that keep this center of mass demonstration from toppling over. 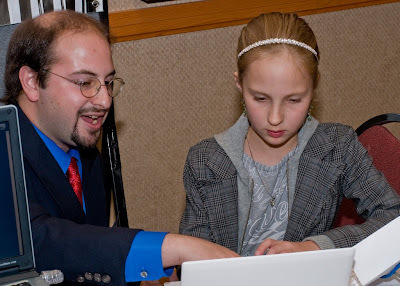 In this photo we see a physicist asking another for her autograph. 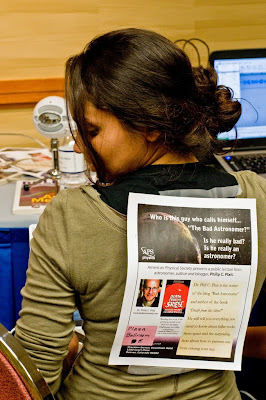 One of the leading science journalists at the meeting was doing her part to promote Phil Plait's public lecture about killer meteors and bad astronomy. 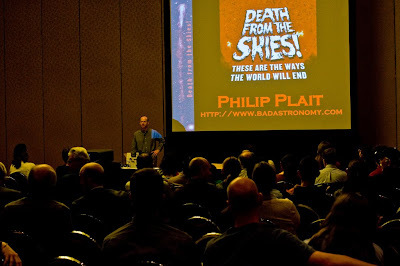 Phil Plait tortured the audience with the some short clips from Hollywood's exploits on meteors and science. Then he wowed everyone with the actual science of asteroids and comets! I am in 2 0f the pictures! Im the girl! YEA ANNA! YOU ROCK GIRL! ATTACK OF THE ATOMIC STARFISH !!! Easy as α β γ ? Hubble's fix'n for an upgrade.